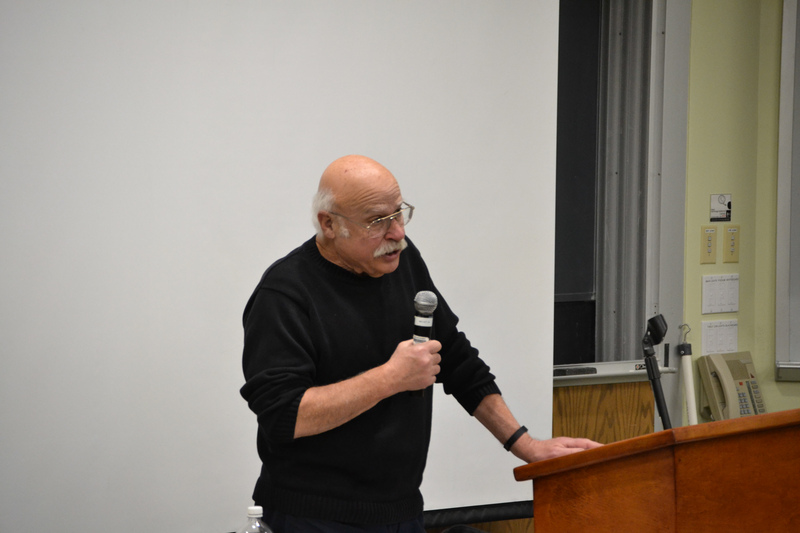 Steven Shapin, a Franklin L. Ford Research Professor of the History of Science at Harvard University, held a lecture on Thursday, Feb. 2 titled “The Way We Eat Now” in Shanklin 107. The talk aimed to discuss four major ideas, all focusing around the dialogue of food and how people historically grappled with conversations about food. Shapin began his lecture by laying out four fundamental questions: What is our food like? How do we know what our food contains? What are the relations people have with the idea “you are what you eat”? What are the general connections between viewing food as medical versus moral? He also described what the talk wasn’t going to address, referring primarily to the modern American diet and dietary techniques. Shapin first dived into how the nature of the four elements, water, earth, fire, and air, dates back to language from the 18th century and that people used these qualities to understand what others were like. He continued by describing the conditions of knowledge during this time period, saying that this language wasn’t only a part of the elite classes but that it also permeated all of society. He did, however, state that around the end of 18th century, the official learning classes stopped talking in terms of elements, and the conversation around food changed. Instead of defining food by qualities, people started defining food by it constitutes like protein, carbohydrates, and fats. “Food is now defined not by the qualities of hot and cold, but constituents like carbon, nitrogen, and oxygen and the different forms of these substances,” Shapin said. 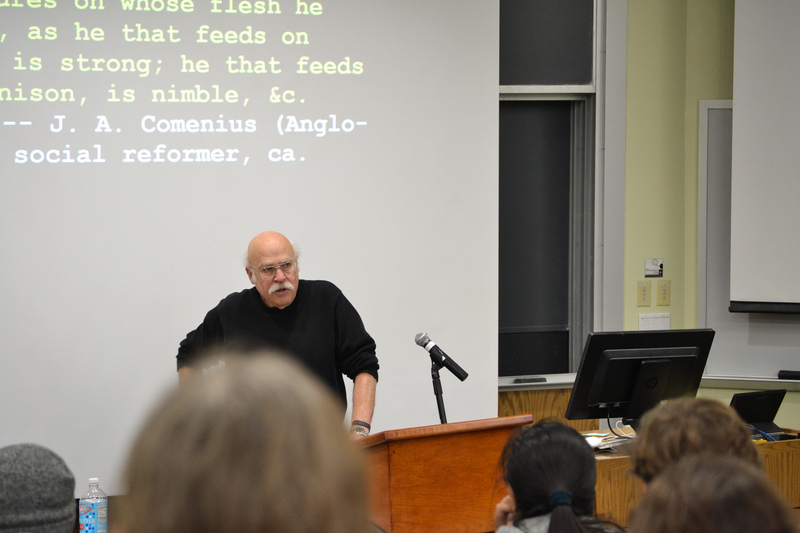 Shapin concluded his lecture with a final overarching question addressing the moral implications of eating and whether or not good eating displays or makes for personal virtue. He answered by suggesting that in the modern condition, the good is cut off from what’s good for one’s health. This is yuppie stuff. The history of food is the story of people not having enough of it and how they overcame (or tried to overcome) that central problem.